I have just returned from my personal final recruitment push for the Congress. Here are some thoughts for your prayers. 1) God has brought fine leaders around the table to implement the GProCongress. There are still decisions to be made and actions to be taken, but the general sentiment is that at this point, we have done what can be done. 2) We saw a registrant “uptick” by about 300 in what seemed a few hours! There is a recruitment effort this week in Nairobi among Anglican Evangelical Prelates. Last week a friend made special connections in a major Asian country, and recent visits to Brazil and Argentina have already yielded fruit. 3) Our industrious back office leaders relocated to Uganda from Malaysia while maintaining a torrid schedule; they also negotiated a generous visa policy for Congress delegates with our kind host country—a great answer to prayer. 4) Coordinated follow-up is to be one of the Congress hallmarks. Our fine follow-up team just gathered in Costa Rica for planning. 5) Our Thai hosts are all “pumped up” because this Congress has a vision with action till 2020! Their volunteers are amazing. We have fewer than 56 days left. Decisions will be made by the thousands…please pray for total protection and global provision. Pray for me since I am recovering emotionally and work-wise (about 100 hours of written labor) from a personal mishap, the theft of my briefcase at an airport–all important, much useful, some favorite, and a few irreplaceable things. God’s graces kept my passport and credit cards from being in the briefcase, where they normally are! New Year’s greetings to you! 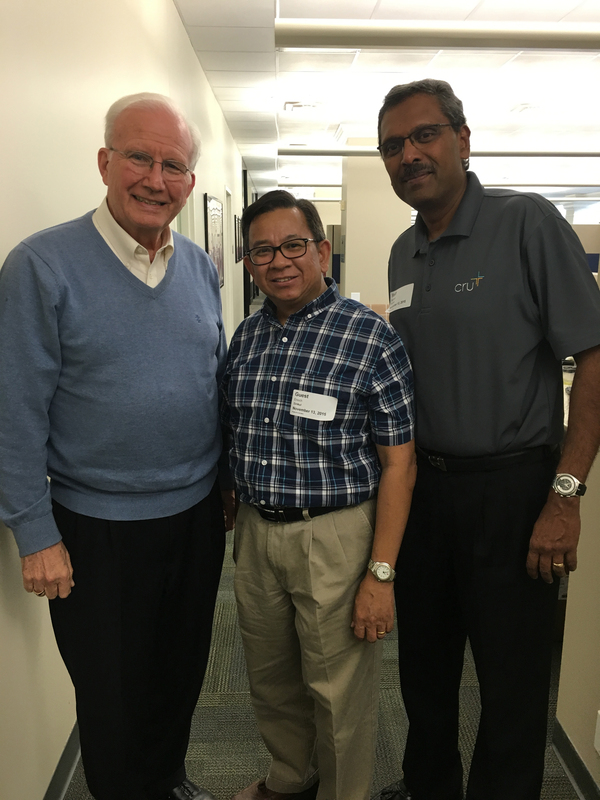 Dr. Ramesh Richard had a powerful, joyful and useful start to 2016 with over 900 Indian missionaries characterized by Vision, Faith and Sacrifice. 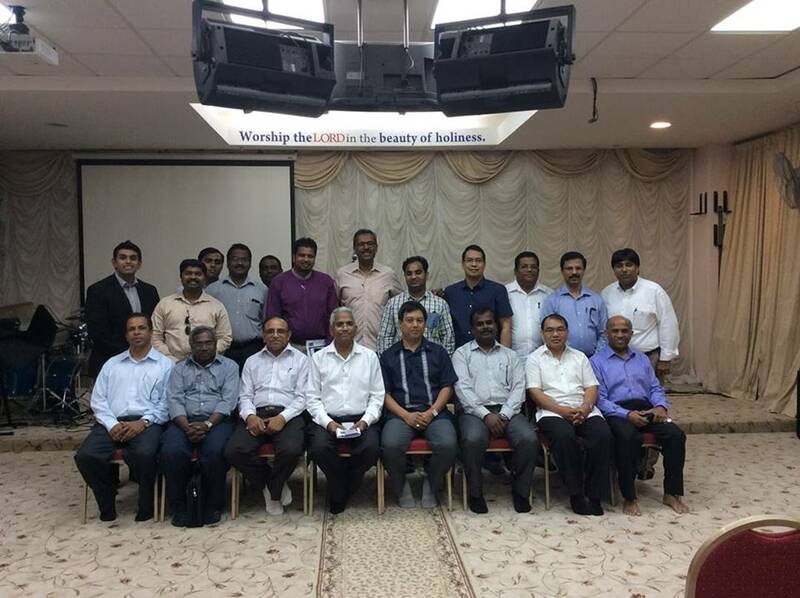 They were gathered for the Golden Jubilee celebration of the Indian Evangelical Mission in Hyderabad, India. He especially rejoiced in this opportunity because his 92-year-old dad, John Richard, was part of the founding team of this “indigenous” mission organization 50 years ago. Three, quick GProCongress vision-casting sessions in three mega-cities over three days topped off the end-and-beginning-of-the-year trip to his birthland. Thank you for praying as he traveled and ministered to rather key audiences, and even large crowds. A couple of weeks ago we asked you to pray that Dr. Richard, who was stuck in South Carolina, would make it back to Dallas in time to catch his flight to Indonesia. We also asked you to praise God for what He would do, including possibly giving Dr. Richard the opportunity to introduce someone to the Lord Jesus Christ. To see that post click here. 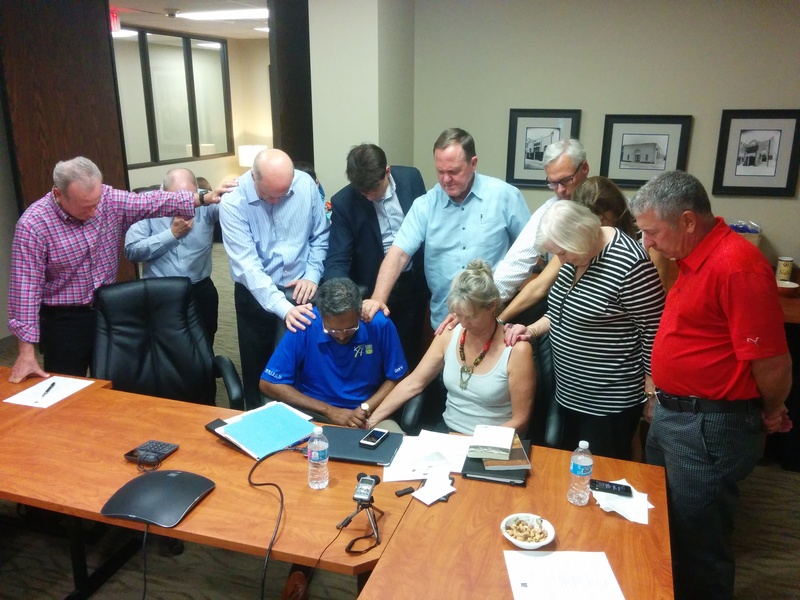 The Lord willing, Dr. Richard is scheduled to travel back to Dallas from Turkey this week, fly to Orlando for a brief but highly strategic meeting regarding GProCongress mobilization, and finish the week participating in Camino Global’s 125th anniversary celebrations. Thank you for praising God with us, intercessors. Please continue to ask, seek and knock, with thanksgiving, for His total protection and global provision.